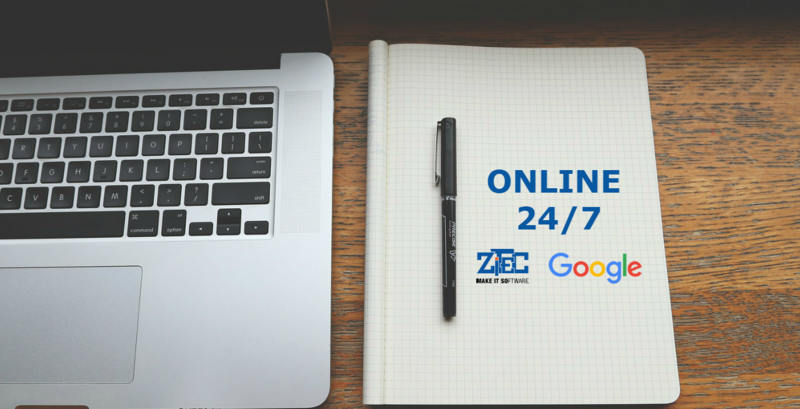 We are inviting you to the Online 24/7 event, an event organized by Zitec together with Google, in which we’ll discuss about the benefits of promoting a business online and how to use the online channels in order to accomplish your business goals. The event is dedicated to business owners and managers and will take place on the 4th of April, at Sheraton Hotel in Bucharest, starting at 9:00 AM. Although there is no attendance fee, there are limited spots available so if you want to join, register here! Back in February, Zitec became a Google Premier Partner, meaning that we have a proven track record of skills and expertise in delivering sustainable client revenue growth through Google AdWords. To celebrate this achievement, we partnered up with Google and decided to organize this event together and talk about why every business should use the online channels in their marketing strategy, and how these channels can contribute to the achievement of their goals and increase their revenue. We will also be joined by some of our clients that will share their experience in working with us and how we helped them grow their businesses by understanding their needs and challenges and using that information to create an integrated online marketing strategy focused on results. If you want to join us, click here to sign up!